Budget and Forecast Report in QuickBooks shows a summary of your estimated or projected income and expenses for the next year. Budget is a planning tool that helps managers to control their business finance. On the small window, you have the option of selecting budget and forecast report type you want to view. 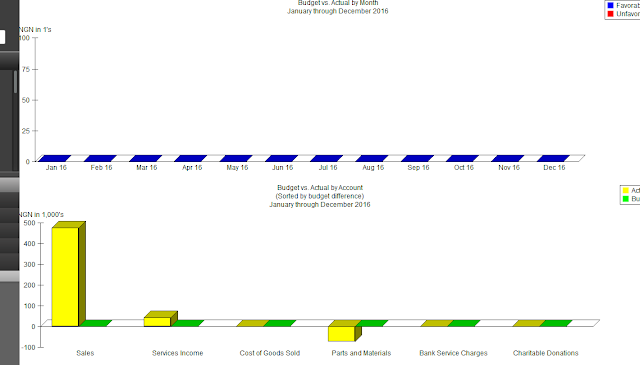 This is an overview of your budget for a specified financial year. 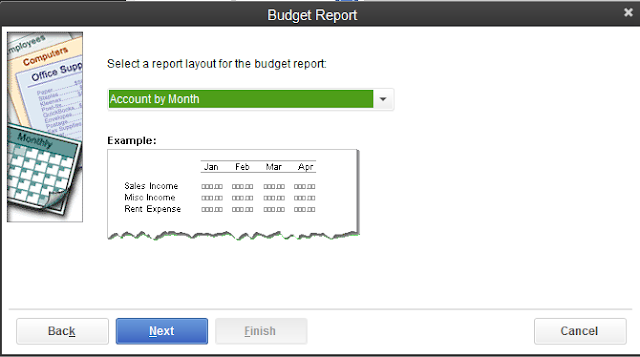 Select a report layout and click Next, Click Finish. 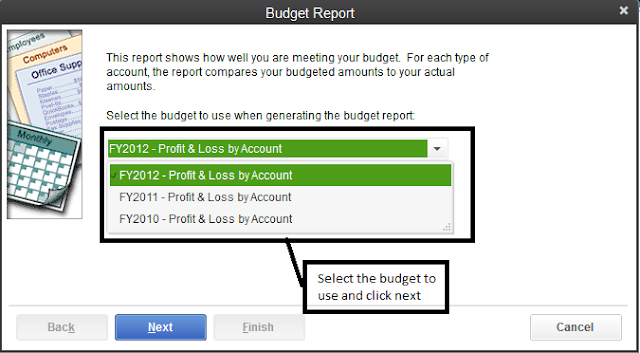 This is one of the most important report business owners follow on a daily, monthly and yearly basis - it serves as a performance measurement. When you view this report, it compares a business actual financial position to what it plans at the beginning for control and future planning purposes. 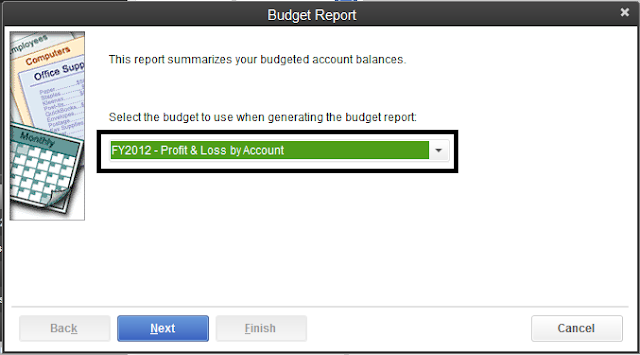 As the name implies, it helps you to view your profit and loss performance against your budget. 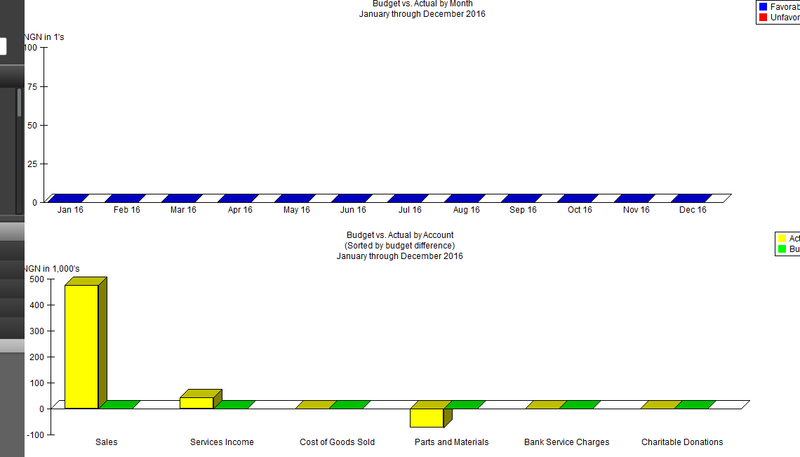 This shows a graphical representation of your budget compares to your actual performance. 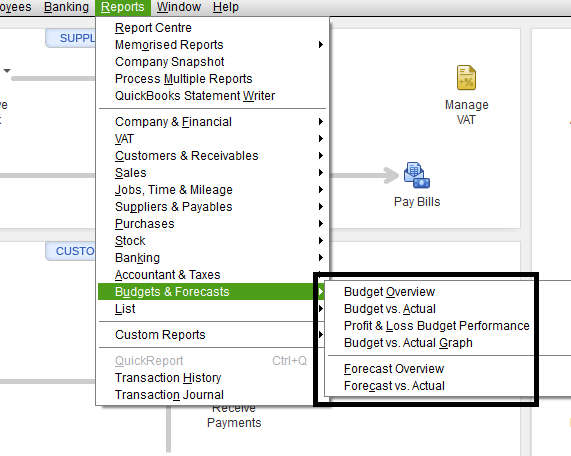 Forecast in QuickBooks shows projections for a specified period. 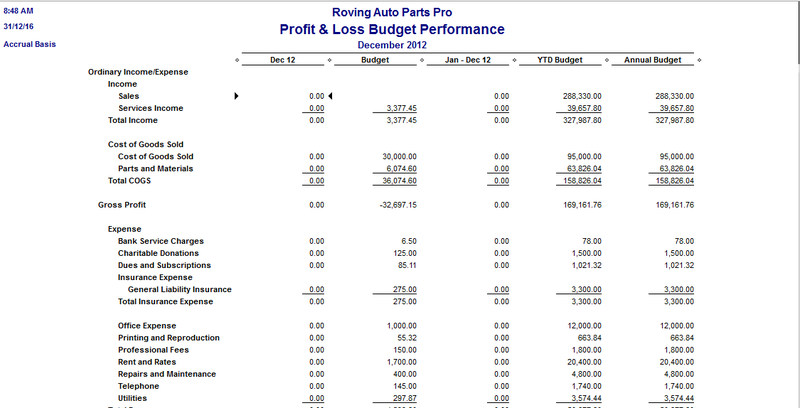 As the name implies, use this report to compare your projections against your actual figures.